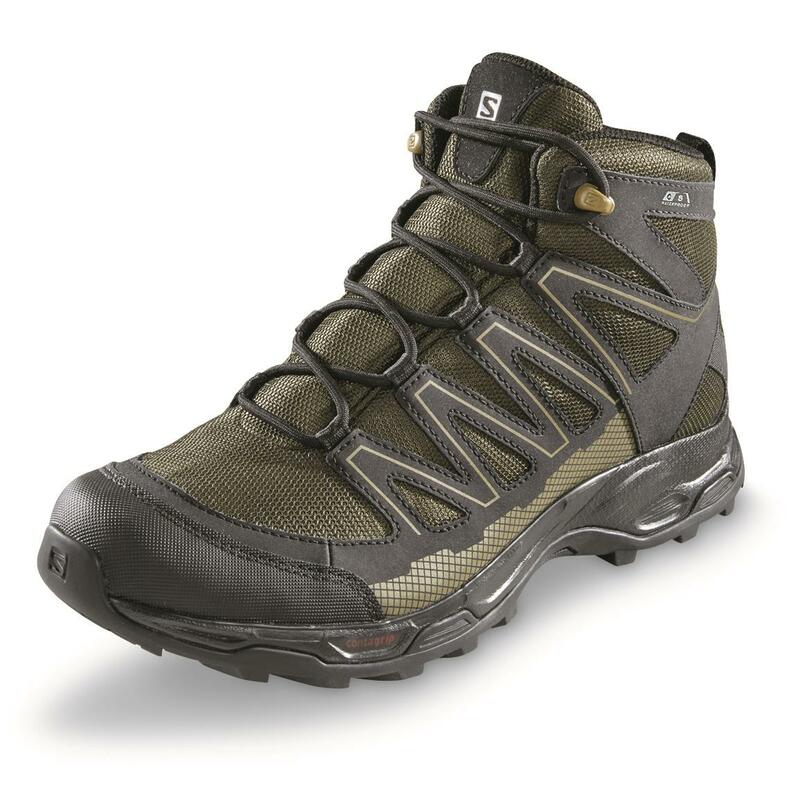 These Salomon® hikers have the trail-ready specs you want while checking in at a lightweight 16 oz. each. 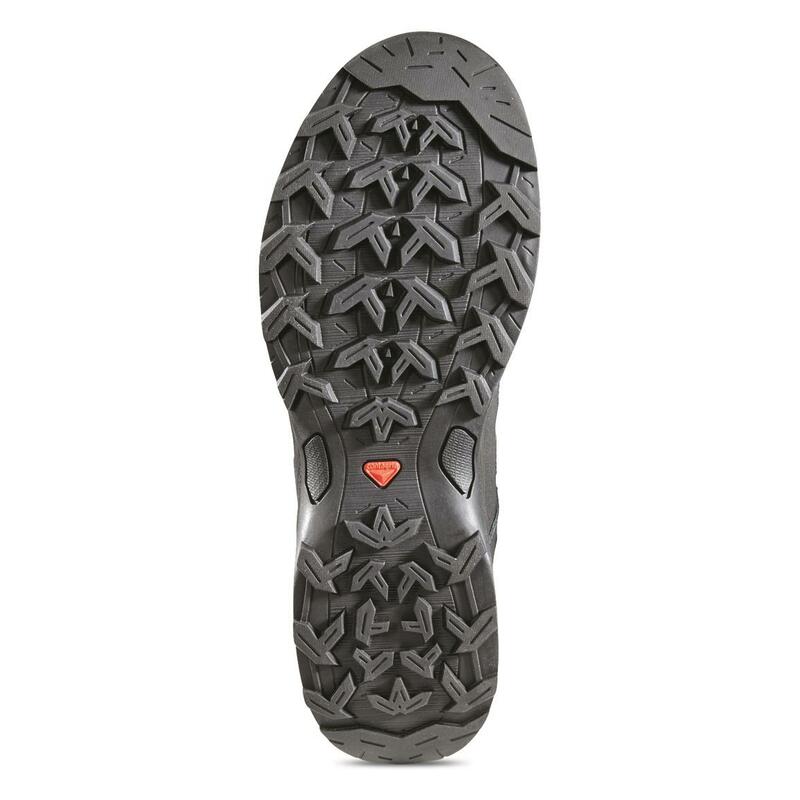 Contagrip uses a mix of rubber compounds on a lugged outsole for high traction across various surfaces. 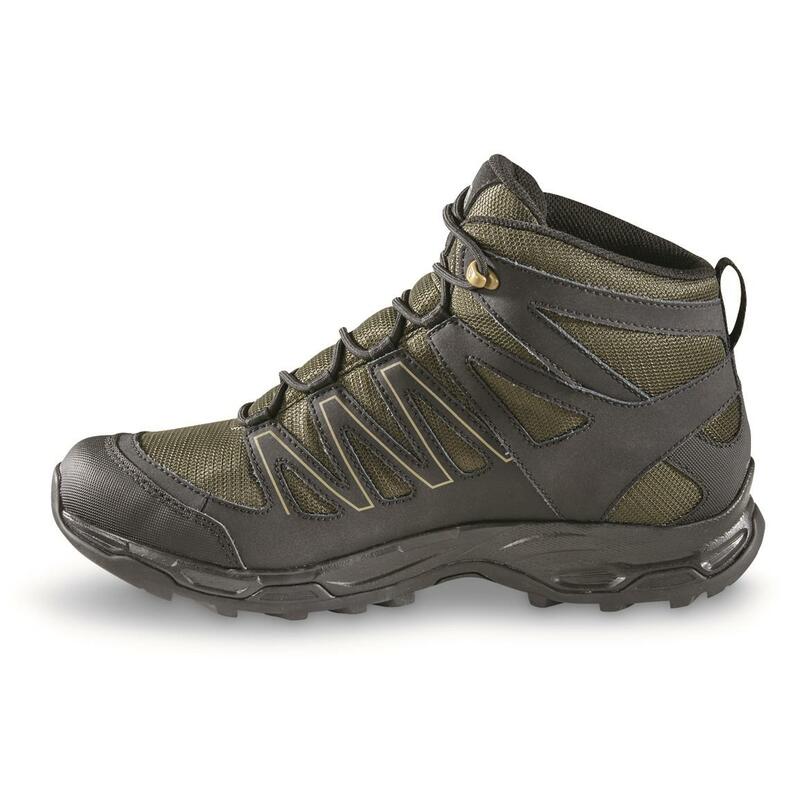 The ClimaSalomon waterproof membrane helps keep feet dry with max breathability. 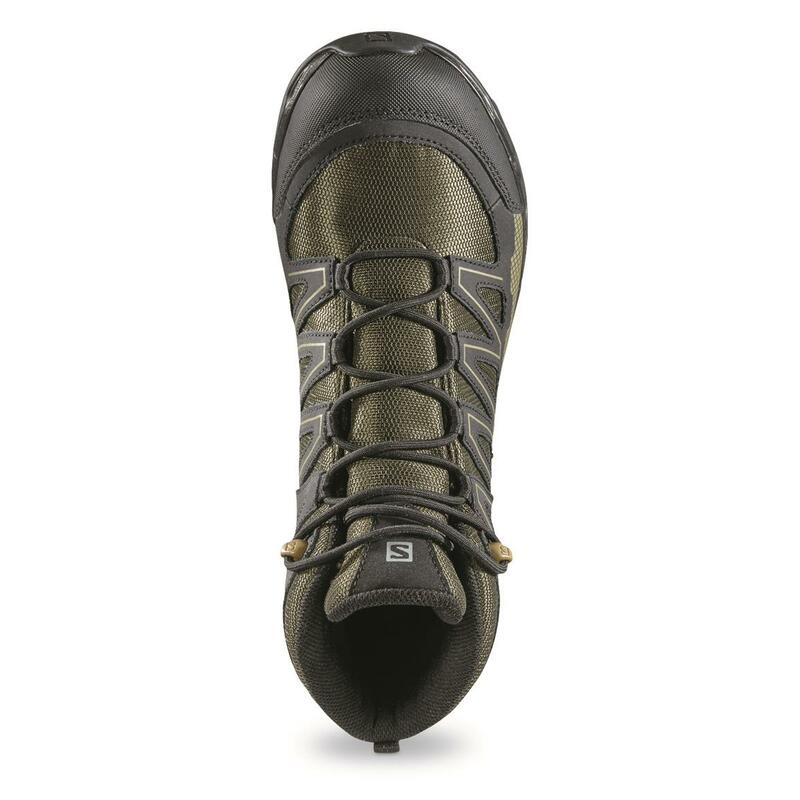 And the textile uppers have a mud guard, toe cap and gusseted tongue for comfort and protection on the trail. 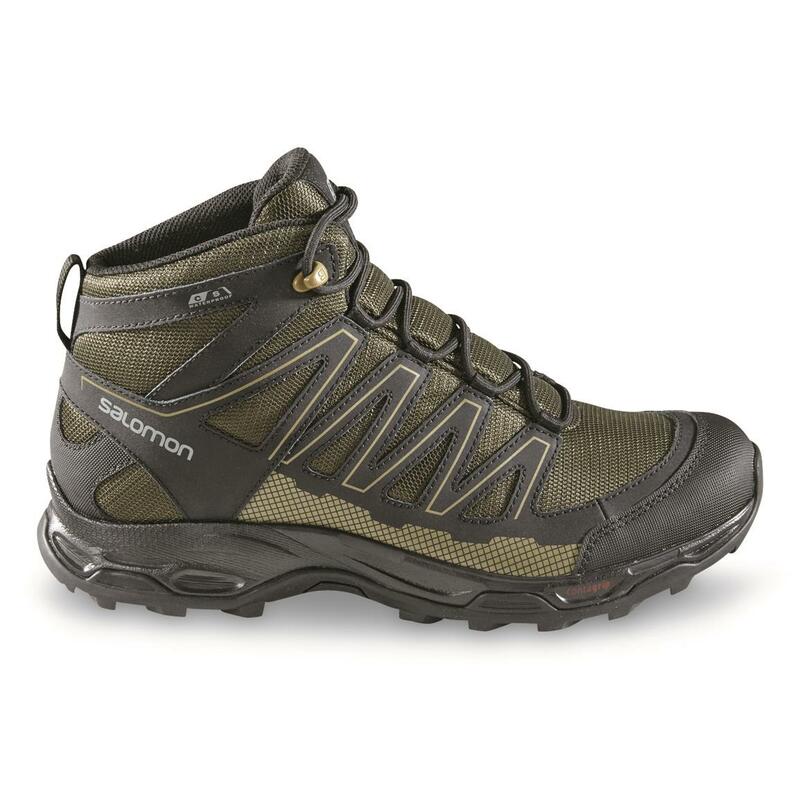 Get amazing support and traction in the lightweight Salomon Pathfinder! Salomon Mens Pathfinder CSWP Mid Waterproof Hiking Boots is rated 3.0 out of 5 by 1. Rated 3 out of 5 by CParris from Only if they wore as good as they looked. 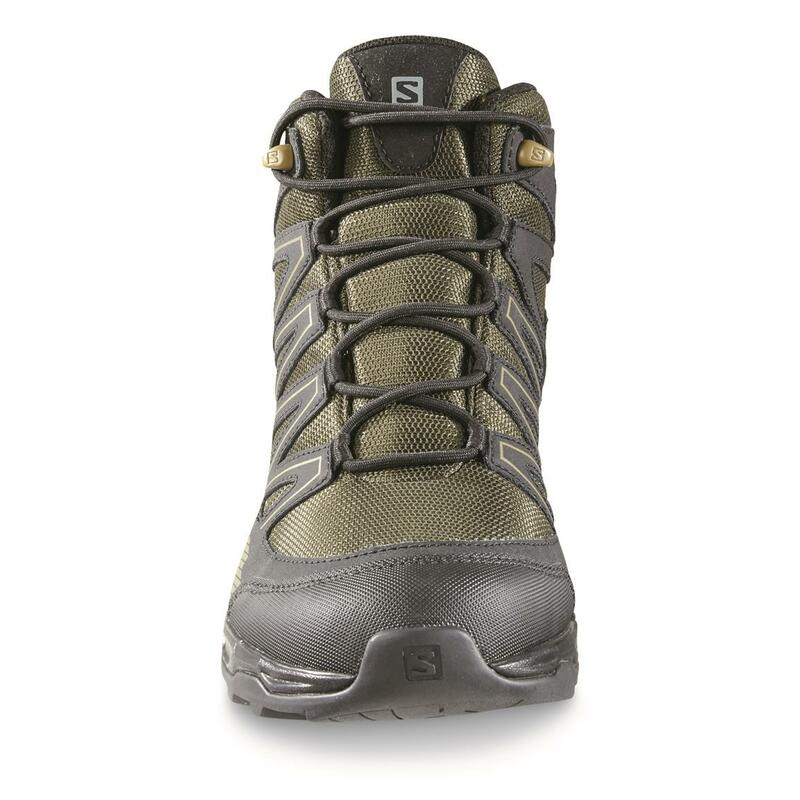 For a pair of Salomon hiking boots, these are very disappointing. These boots are very well made with good arch support. The soles grip very well. The ankle and foot are well supported. 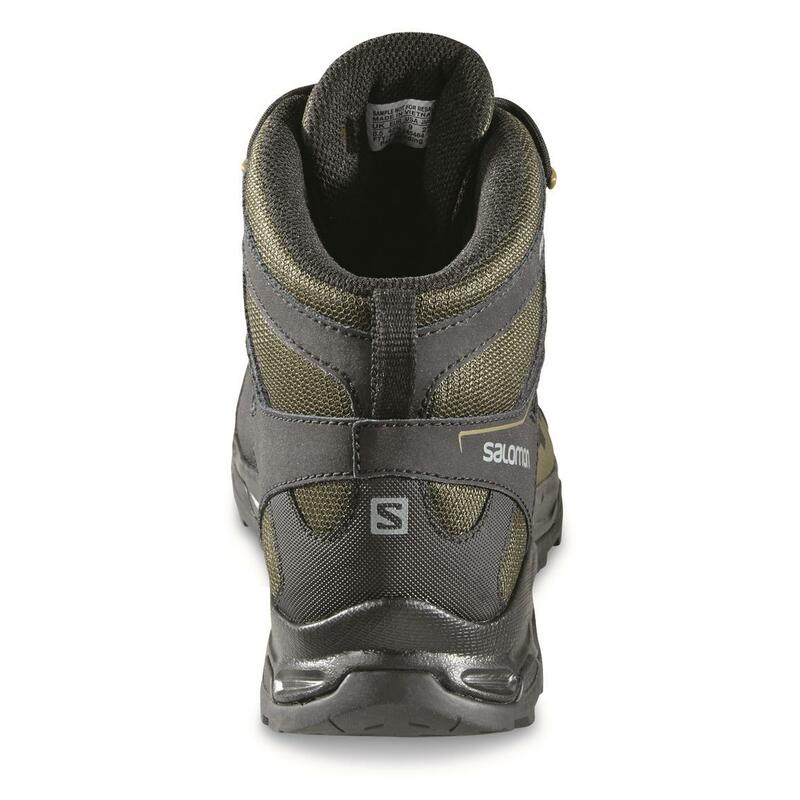 The outside toe of the boots are covered with a rubberized scuff resistant synthetic material. This material will not give or "break in!" It does not flex with the rest of the boot. Walking short distances in these boots is very uncomfortable. I could not imagine attempting a serious hike in tough terrain. They look great and seem to be very well constructed. However, they are too uncomfortable to wear.